Notice that the name of the reference in the subsubsection is missing, unlike the reference in the subsection. Why is it? Is there a way to solve the problem without commenting out the \setcounter line? 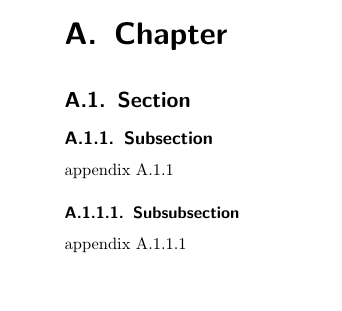 The reason why I don't want to comment out the \setcounter line, is because in my actual document (not the sample one listed above), this line serves some purpose (though I'm not sure what this purpose is). Not the answer you're looking for? Browse other questions tagged sectioning counters appendices cleveref or ask your own question. 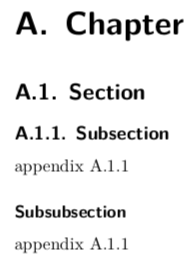 How to find out largest ((sub)sub)section number in a document? 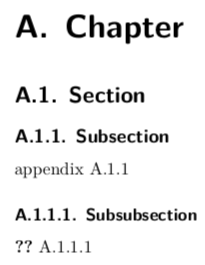 Can cleveref treat sections in other chapters as chapters?